Rooted in muddy depths, the lotus rises to blossom in daylight. 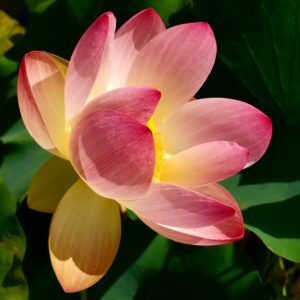 A long revered symbol in many Asian cultures, the lotus represents awakening, rebirth and rising from adversity. At Lotus Physical Therapy for Women, the mission is to provide skilled physical therapy that fosters quality service in an environment that is compassionate, discrete and encourages wellness and independence in self-care. All clients receive a thorough evaluation from which treatment programs are custom-formulated to serve each client’s needs. Lotus Physical Therapy is sensitive to and understands the specific needs a woman’s body requires at different stages as she journeys from adolescence through midlife and on to her senior years. We are a Women’s Health clinic that provides treatment of pelvic dysfunction, orthopedic conditions as well breast care. Focus is on treating women, however, children and men are welcome. Luba Starostiak is trained and experienced in treating children and males with pelvic floor dysfunction and related orthopedic conditions. Physical therapy services are provided for Rockland County, Orange County, Westchester County, Bergen County, Sullivan County, New York City and surrounding areas. International clients have also sought and received quality care. Lotus Physical Therapy for Women, PLLC opens a SECOND LOCATION!!! 5 Academy Street, New Paltz, New York 12561. Services provided for Ulster County, Orange County, Sullivan County and Dutchess County, Putnam County and Greene County, New York.